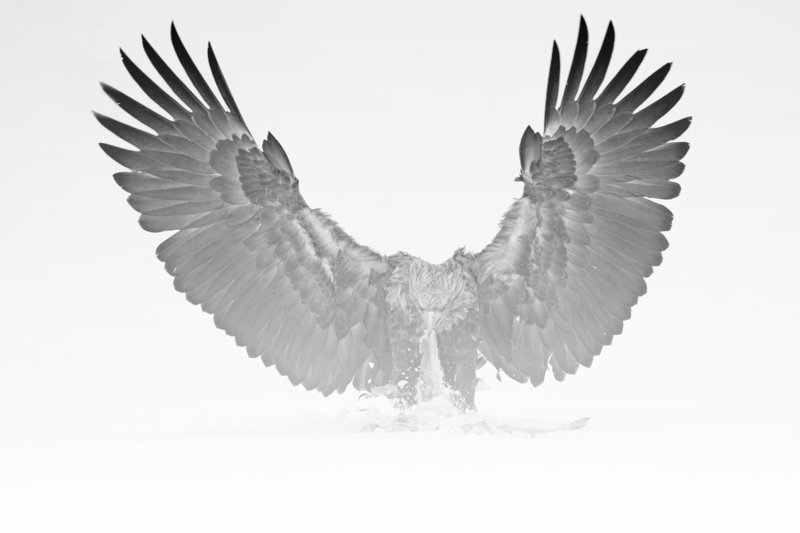 From the Norwegian fjords to the cold expanses of Finnish Lapland, to the Great Hungarian Plain swept from the icy Siberian winds: these are the kingdoms of the white-tailed eagle. Winters are cold, but the beauty and the "sovereignty" of the eagles repay any sacrifice. After long hours of waiting, they approach, wary, forcing you to the absolute stillness until they are convinced that the place is safe.